From the battlefront to the homefront, nothing compares to FN Herstal pistols! 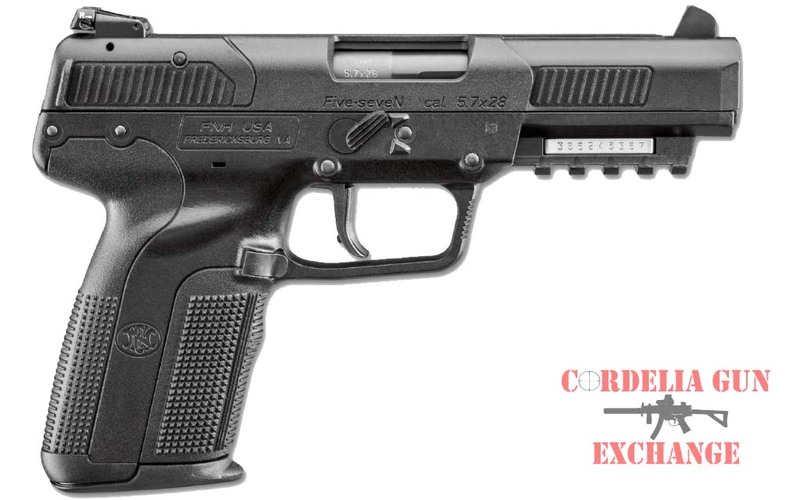 California Legal FN Herstal pistols are available from Cordelia Gun Exchange! The FN Five-seveN in black and FDE are both available in California. 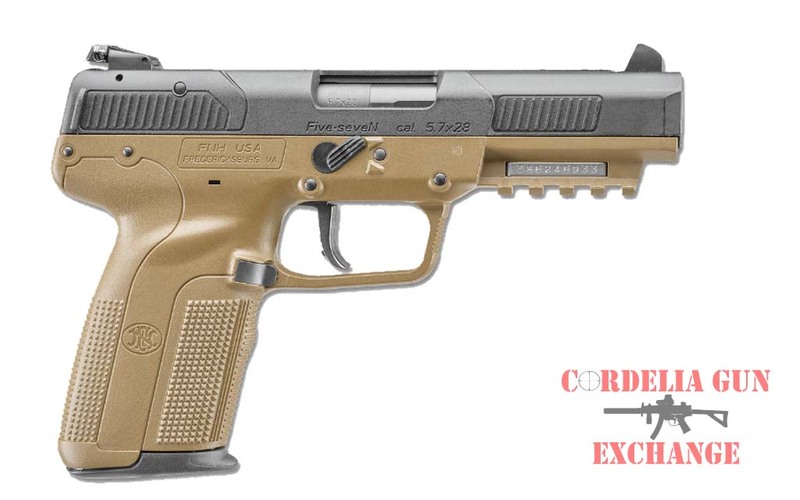 The FN Five-seveN FDE 57x28MM pistol was developed in the early 1990s and features a cold hammer-forged barrel that is chrome-lined for extended service life. The polymer-framed FN Five-seveN FDE 57x28MM pistol offers single-action operation, low felt recoil, 10-round magazine capacity, and is equipped with an ambidextrous, forward-mounted manual safety, and an accessory rail that accepts tactical lights and lasers.